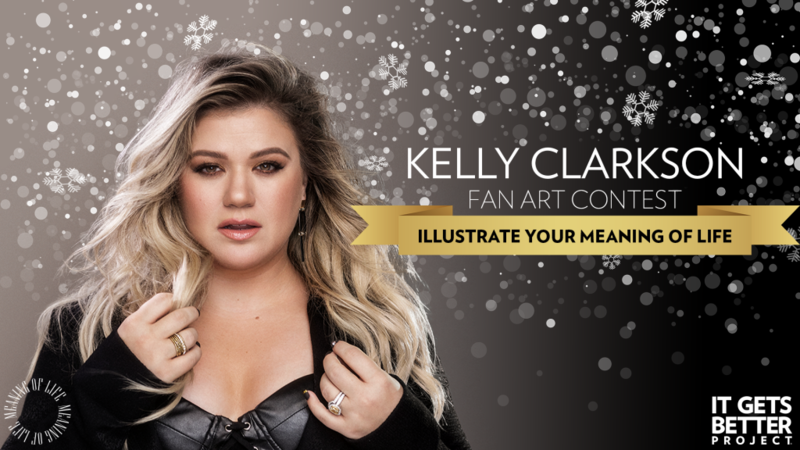 Kelly Clarkson Fan Art Contest Winner Announced! Congratulations to Danielle Seaton of Omaha, NE — you are the winner of the “Meaning of Life” Fan Art Contest. Danielle’s winning design is available now as a limited edition postcard set, available to the first 250 people who donate $50 or more to It Gets Better Project. Every set will include a personal signed note from Kelly Clarkson! Thank you to everyone who submitted a design inspired by Kelly’s album, “Meaning of Life” in the spirit of uplifting, empowering and connecting LGBTQ+ youth around the globe!